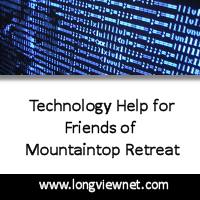 Mountaintop Retreat OFBC Inc., is led by a Board of Directors with all of the powers of governing, directing and overseeing the management of the organization. The corporate governance principles of Mountaintop Retreat, Inc. are composed of a series of documents adopted by the Board of Directors, The documents are periodically reviewed to ensure they continue to meet the needs of the organization and reflect current industry best practices. Read our entire Governance Document by clicking here to open an Adobe Acrobat PDF file.